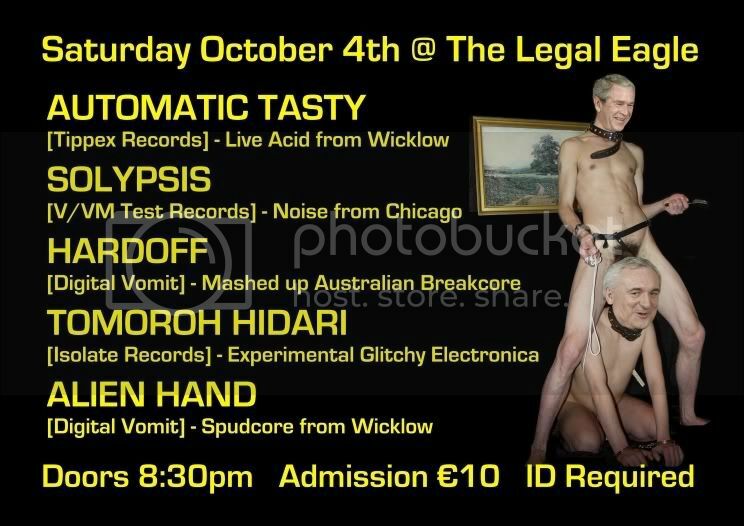 There have been three official Digital Vomit live shows so far, in England, Ireland and Japan. * Didn't play due to broken laptop. ** Played no Krautrock due to lack of turntables; played an Orbital album instead. 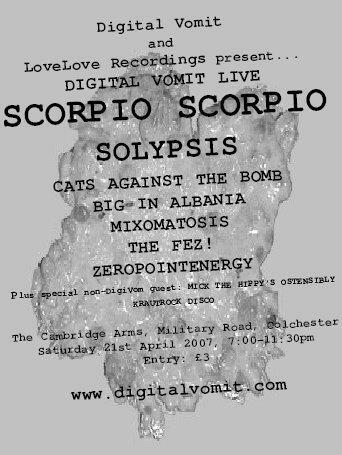 There are no future Digital Vomit events planned, however if you'd like to organise one, simply get a few of your local DigiVom acts together in the same place at the same time and get them to make some noise. And plug it on here, obviously.